Excell Label Dispensers come in different widths and formats to accommodate different applications and any space restrictions. Our dispensers are available in table top, wall mount formats with durable metal or economically plastic constructions. They can hold standard label rolls to large label rolls for multi-purposes. Additional features include 360° rollers and metal separators that will peel away backing creating a smooth dispensing experience. 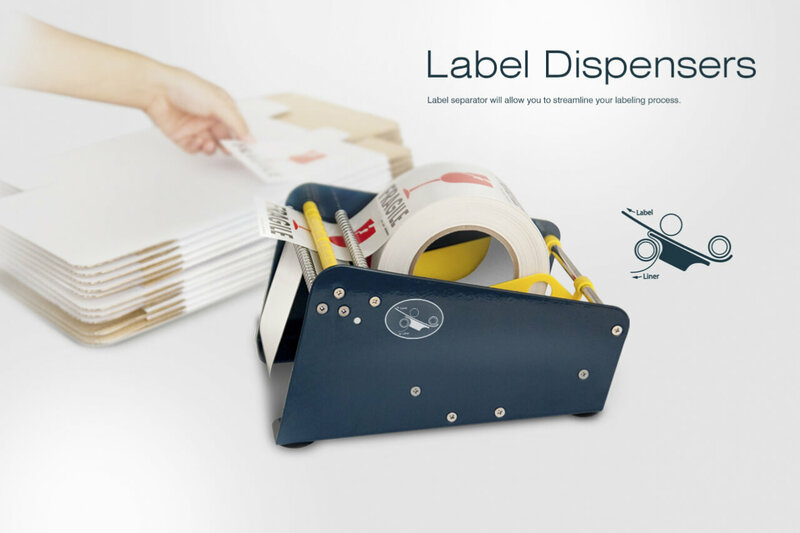 Our dispensers are ideal for, food service, shipping rooms, retail, and industrial applications or anywhere a simple label dispenser is needed.